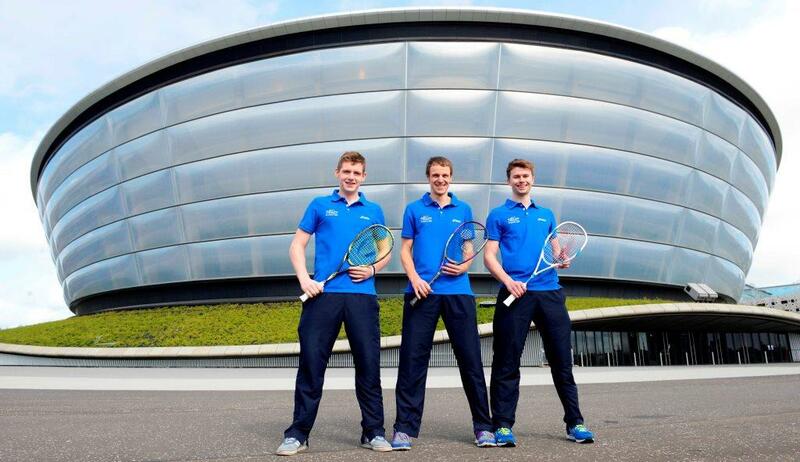 The final 3 members of the Team Scotland Squash Team for Glasgow 2014 were announced today following their nomination by Scottish Squash and Racketball and ratification by CGS. Stuart Crawford, Greg Lobban and Kevin Moran join compatriots Alex Clark, Alan Clyne, Frania Gillen-Buchert and Harry Leitch, whose selection was confirmed in September. Scotstoun Sports Campus will host 11 days of fast-paced squash action from Thursday 24 July to Sunday 3 August 2014, with five gold medal competitions in Men’s and Women’s Singles and Doubles and in Mixed Doubles. Selected in the second Men’s Doubles Team, Stuart Crawford, 33, hails from Irvine and is based in Edinburgh where he is the Assistant National Squash Coach. In an illustrious squash career, Crawford is a five-time Scottish Champion, most recently in 2011, and has amassed more than 70 international caps, competing at four World Championships. In 2012 and 2013, Crawford reached the semi-finals of the European Men’s Team Championships alongside Clyne, Lobban and Moran. He will team up with Greg Lobban building on their successful partnership as winners of the 2014 Scottish Open Doubles Championship and runners-up in the British Open Doubles Championship earlier this year. Greg Lobban, 21, from North Kessock, Inverness now lives and trains in Edinburgh having graduated from Edinburgh Napier University with a Sports & Exercise Science and Sports Coaching degree. Lobban burst onto the scene in 2009, captaining Scotland U17 to a silver medal at the European Team Championships, Scotland’s best ever result at this level. Since then, has risen through the ranks, crowned Scottish U19 Champion in 2011, U21 Australian Open Champion in 2012 and Scottish Men’s Champion in 2013. On top of his doubles successes with Crawford, Lobban competes on the Professional Squash Association (PSA) Circuit where he has won three titles – including the Swiss Open in Geneva in March this year – and reached a further five finals. 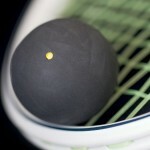 Paisley-born Kevin Moran, 23, is also based in Edinburgh and will compete in the Mixed Doubles event alongside Alex Clark. Moran narrowly missed out on selection for men’s doubles, but has shown his strength and depth in mixed doubles, having competed alongside a number of playing partners. 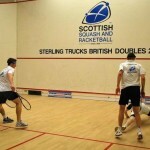 Moran competes on the PSA Circuit and in 2013 he was crowned Scottish U23 Champion. He was also a member of the team which finished fourth in the European Men’s Team Championships in 2012 and 2013. The athletes announced today have benefited from the support of sportscotland the national agency for sport and in particular from the high performance support and expertise provided by the sportscotland institute of sport.